These brokers are set to hike margin requirements ahead of expected Brexit volatility. 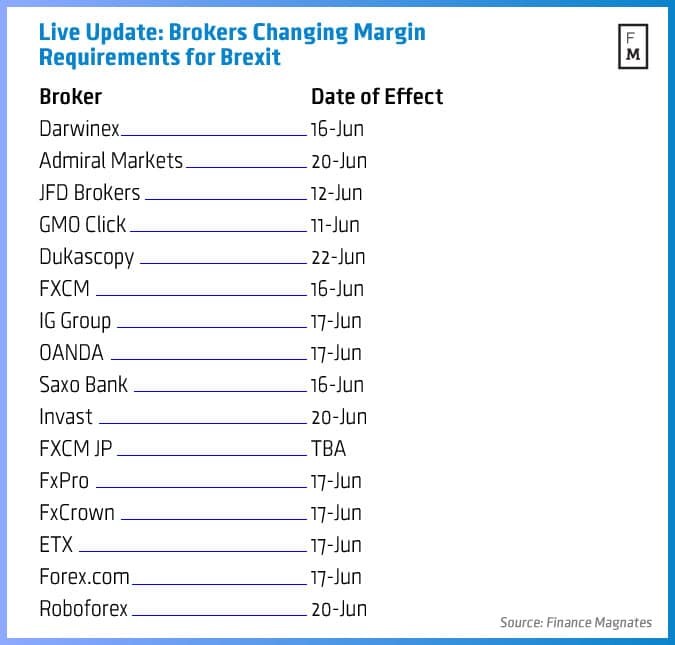 As the Brexit referendum fast approaches next week, more and more brokers are reducing leverage by hiking margin requirements for select trading instruments where volatility could be highest as evidenced by the number of announcements – including the latest from Roboforex, Crown Forex, and ETX Capital. Earlier today, Finance Magnates reported on Forex.com’s related margin increases and subsequently we covered the margin rates also going up temporarily for Fx Pro after the company’s announcement, and now we follow with three additional firms that have also their leverage. ETX Capital took a number of related measures for the margin requirements for its trading products and emphasized that market volatility could increase significantly due to the Brexit vote on June 23rd, and how further changes to margin and spreads could follow as the date approaches. The company said that for clients that don’t have 100% margin on their accounts, their positions may be closed at any time, as translated from Polish. The company provided a table for some of its CFD indices and metals products regarding the margin changes. Products included the following CFDs and metals: UK 100 at 2.00% margin, Gold at 3%, Wall Street at 2.00%, Silver at 4%, SP 500 at 2.00%, Platinum at 5%, Germany 30 at 2%, Nymex Crude at 3%, France 40 at 2%, Brent Crude 3%, Euro Stocks 50 at 2%, Spain 35 at 5.00% and Italy 40 at 5% margin. In addition, the GBP and EUR major pairs and related crosses all saw increases with the CHF-related crosses having the largest margin required. The pairs noted and accompanying margin rates included the following 12 pairs at 3% margin: GBP/USD ,EUR/USD, EUR/CAD, EUR/GBP, EUR/AUD, GBP/EUR, EUR/NZD, GBP/JPY, GBP/AUD, GBP/CAD, GBP/NZD and EUR/JPY. And the EUR/CHF and GBP/CHF were listed at 6% margin, according to the update from ETX Capital. FX Crown, Forex Exchange Co. Ltd., shared that it too was implementing margin related changes that are set to go into effect this Friday June 17th at 12:00 local time in Japan, with leverage being cut in all of its GBP and EUR-related cross-currency pairs. FX Crown listed a number of related pairs including EUR/AUD, EUR/CAD,EUR/CHF, EUR/GBP, EUR/JPY, EUR/NZD, EUR/USD, GBP/AUD, GBP/CAD, GBP/CHF, GBP/JPY, GBP/NZD and GBP/USD. Further details were provided in Japanese related to margin cuts from 4% of the value of trades, as described on the company’s website. The new world of online trading, fintech and marketing – register now – for the Finance Magnates Tel Aviv Conference, June 29th 2016. Roboforex followed related coverage with its announcement that in anticipation of related volatility it applied a change to British pound related instruments, taking effect from June 20th through June 24th of next week. Most notably, Roboforex said that the GBP-related instruments will be in ‘close only’ mode on the MT4 and MT5 platforms, and therefore opening new positions will not be available during the related period next week. In addition, Roboforex said that no transactions with GBP instruments will be allowed on its RAMM investment platform during the four-day period. Margin rates for MT4 and MT5 ECN accounts will be 6 times higher than the current level on June 23rd through the 24th, and with the most severe measure for its standard accounts on MT4 and MT5 which will see a 20 times increase in margin requirement from the current level, although all normal trading conditions will resume on June 27th, noted in a company update. Finally, the maximum leverage for cTrader accounts will be limited to 50:1 regardless of current levels, as noted in an update from Roboforex regarding the planned changes. 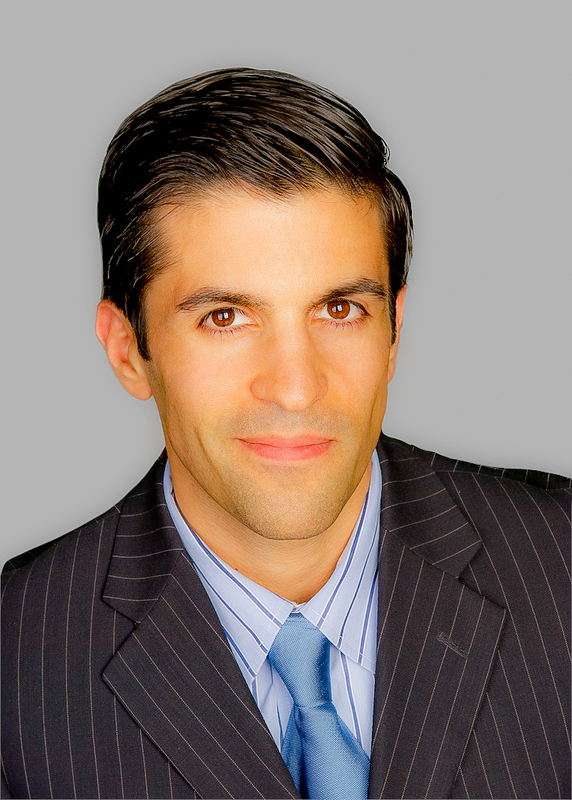 FxOpen has announced its plan to change its margins next week on June 20, which will be in effect until June 27. The intended changes will affect all of the broker’s GBP and EUR pairs, including indices. In addition, FxOpen has also warned that it may alter its margin requirements for all GBP and EUR-based instruments by up to 5 times their normal respective level without further notice.